This annual prize of £500 was set up by Terry & Caroline Adams. 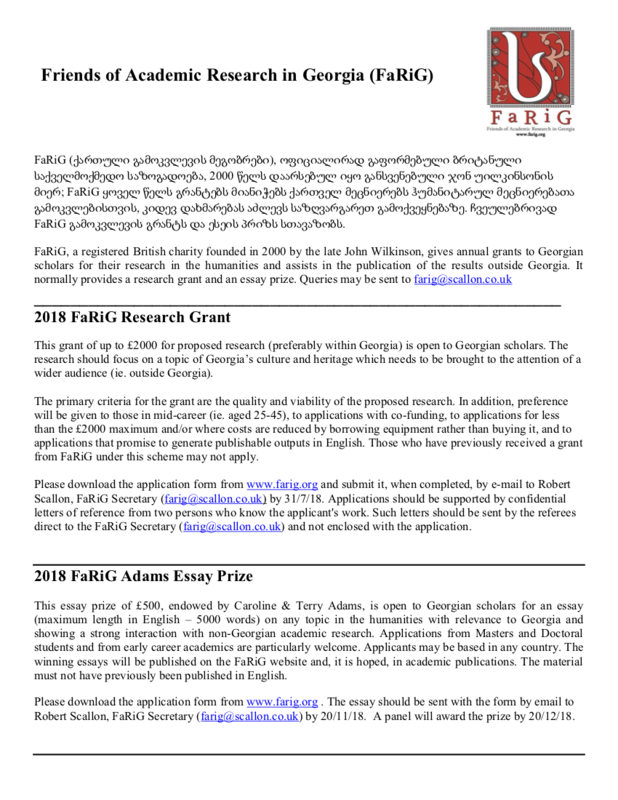 It is open to Georgian scholars for an essay on any topic in the humanities with relevance to Georgia and showing a strong interaction with non-Georgian academic research. Preference given to scholars under 40. Winning essay to be published on the FaRiG website, with the scholar encouraged to publish it in an academic publication. 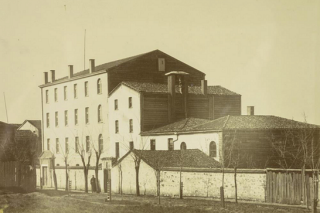 Natia Natsvlishvili, Struggling For Identity: Georgian Catholics and their Monastery in Istanbul. Giorgi Papashvili, "Niko Pirosmanashvili’s Picture Language and Photography". Ekaterine Gedevanishvili, "The Symbolic Interpretation of St Nicholas’s Church at Gelati Monastery"